I heard this on the radio the other day but forgot to post it with all the Christmas preparations. 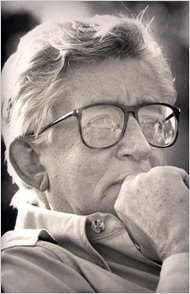 Robert Mulligan, director of one of my favorite books, To Kill a Mockingbird, also passed away last Saturday. He was nominated for an Academy Award for his take on Harper Lee's Pulitzer-Prize winning book. Lynn has a shirt that says "Atticus Finch is my co-pilot." Gregory Peck, who won an Oscar Best Actor award for his performance, could have said the same thing about Mr. Mulligan.